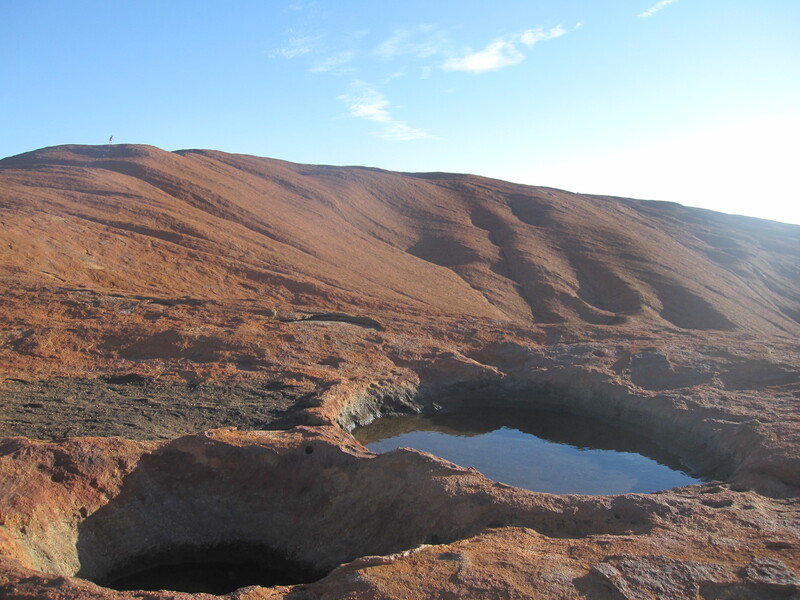 The Outback and Uluru | Hello World! 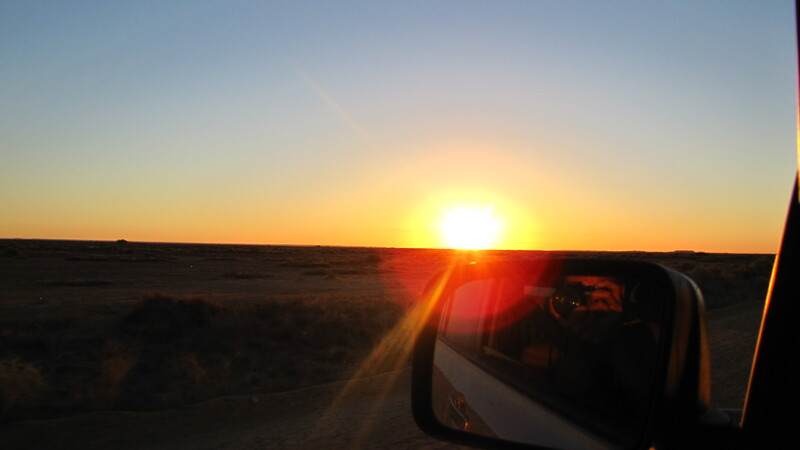 Our outback journey has been intense. 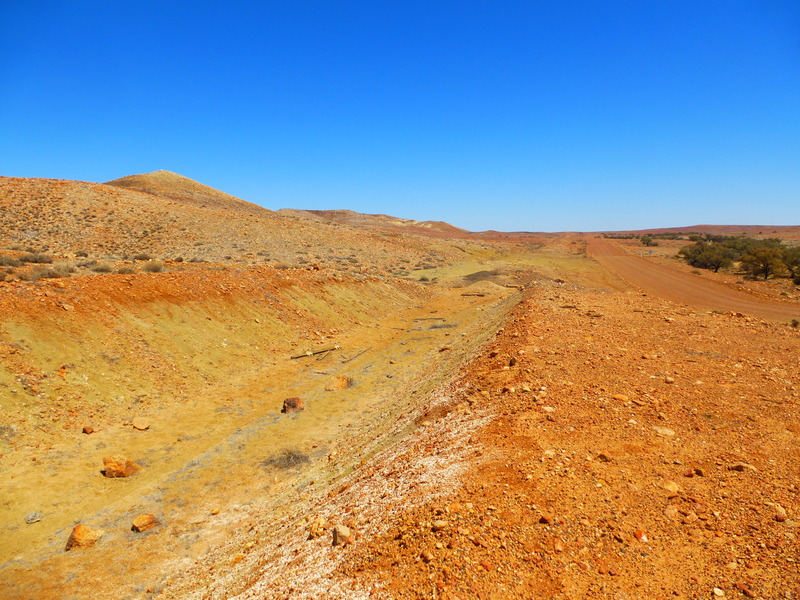 We went from Adelaide to the Red Center, taking a detour through Flinders Range National Park and the mythic Oodnadatta track, before heading back to Sydney by opal mining city Coober Pedy. A lot of driving and hiking was involved, and it was an adventure-full week. 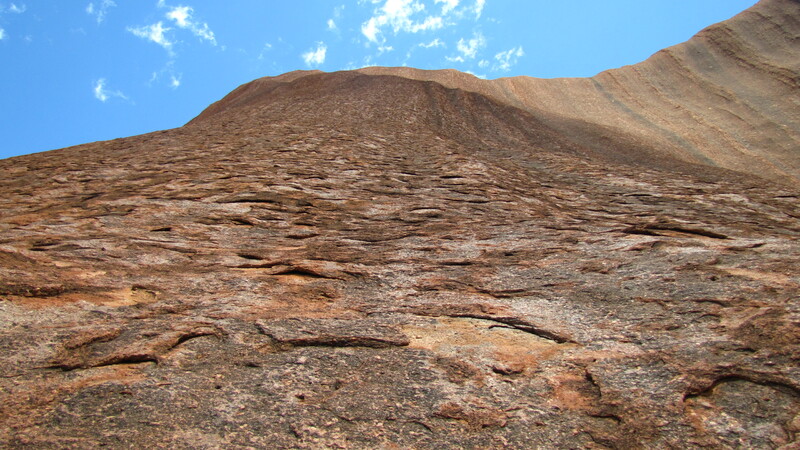 Let’s start in this article with the half up to Uluru. 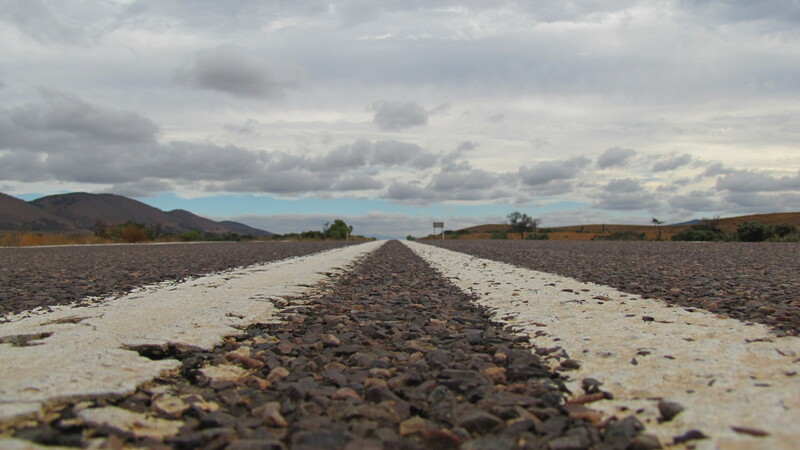 We started off by taking a detour from the Stuart Highway (the main highway to go from Adelaide to Darwin) to head towards Flinders Range National Park. 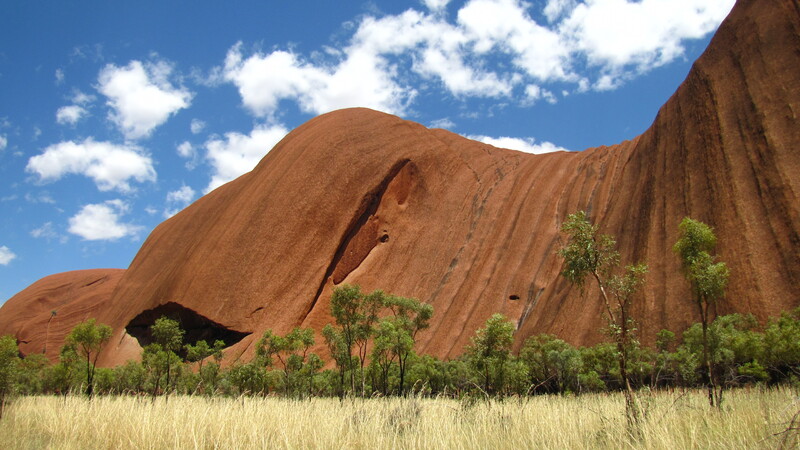 We met with some great people there, including an Australian woman who was doing her fourth tour around Australia and who gave us some very helpful inside tips. 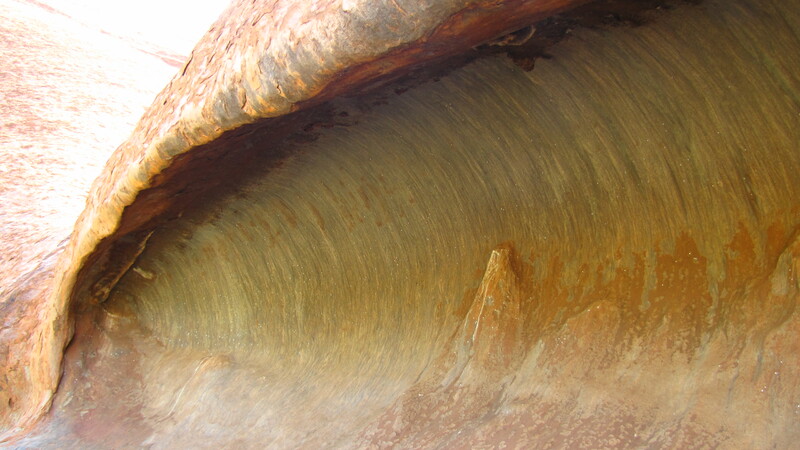 The park is on the land of the Adnyamathanha aborigines, and harbors some awesome walks. 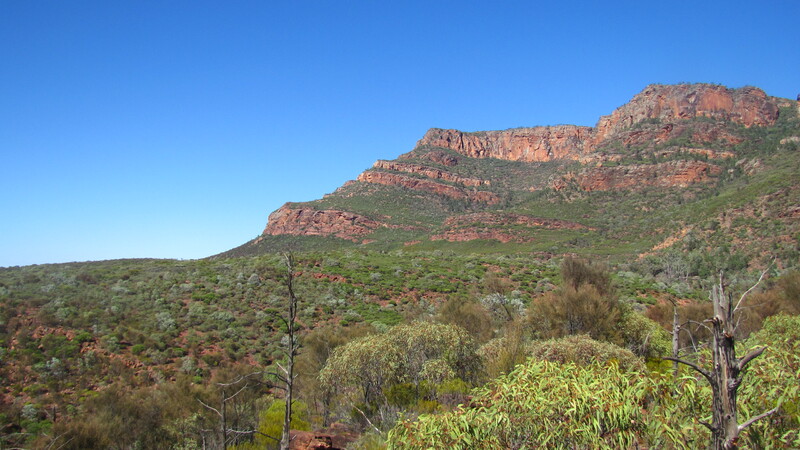 The main attraction of the park is the 80-sq-km natural basin Ikera (Wilpena Pound), a sunken elliptical valley ringed by gnarled ridges. 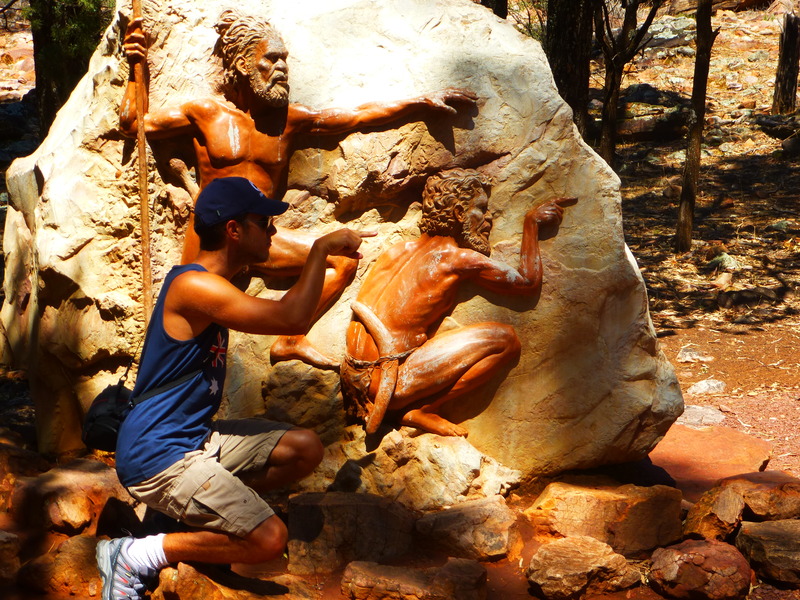 We drove to a couple of walk outside of the Pound to check out aboriginals painting and carving sites in mountains and canyons. 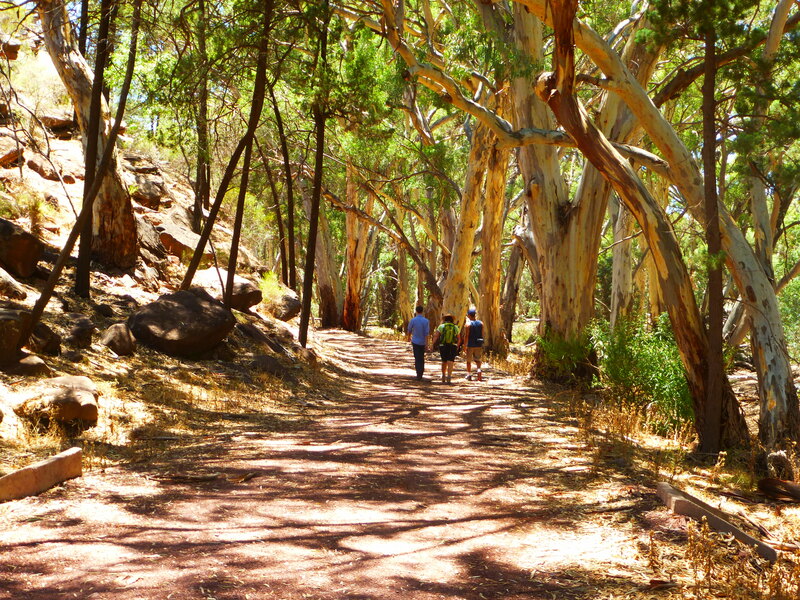 We concluded our day in Flinders by taking a track through the gorges to get out of the park. 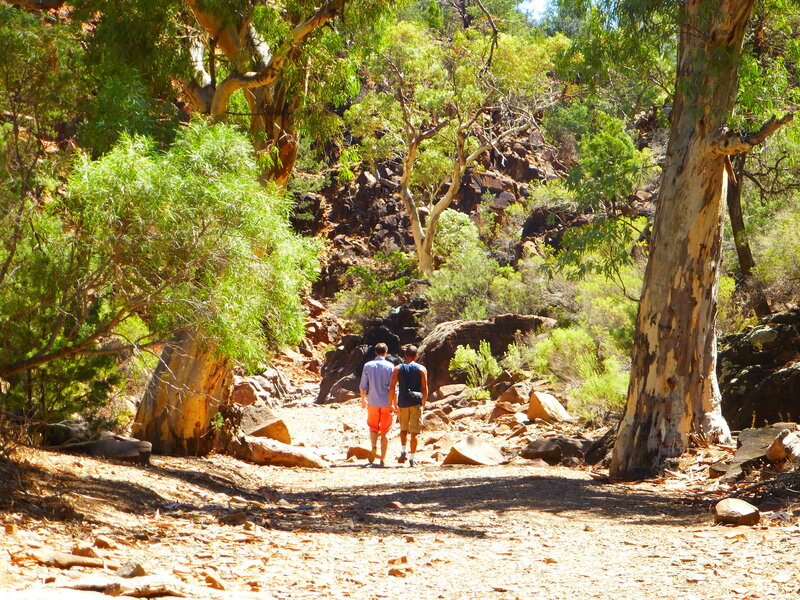 We were happy to have a high clearance 4WD as the track was full of dirt, rocks and even some small water pounds. The landscape was amazing though. 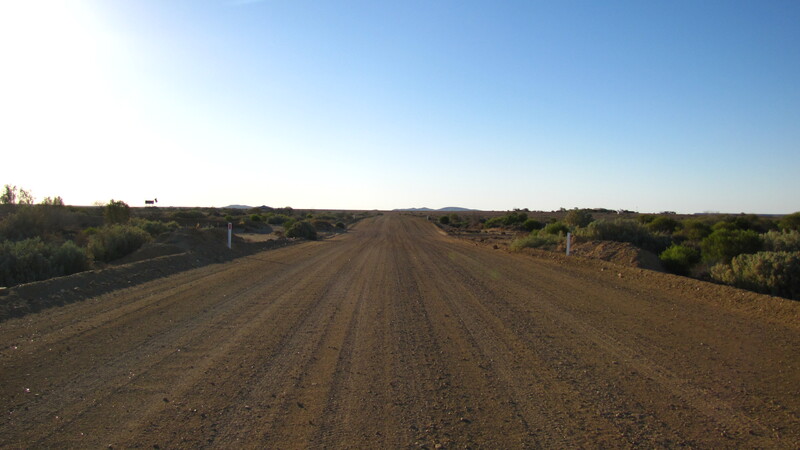 The legendary, lonesome Oodnadatta track is a 615km unsealed road between Maree (north of Flinders Range) and Marla on the Stuart Highway. 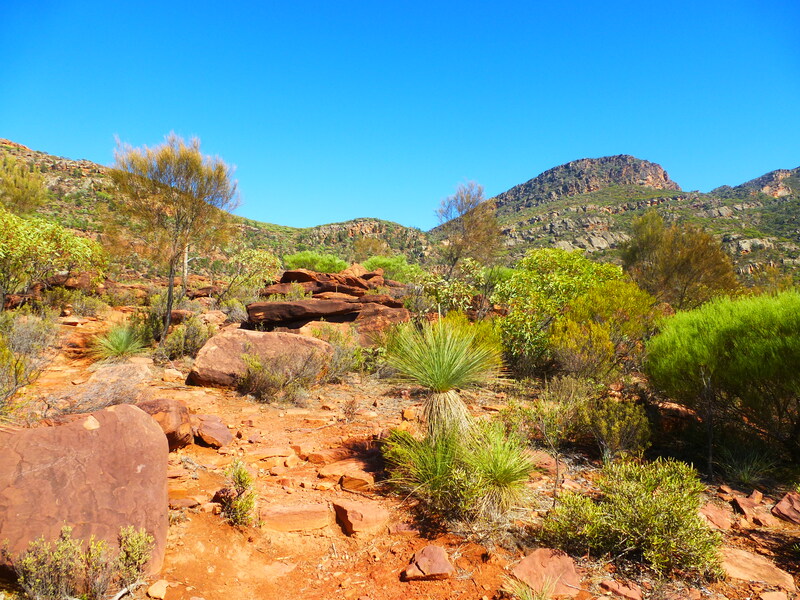 It took us quite a lot of time to finally reach Marla, and we had to spend the night in the red gibber plains of Coward Springs, literally in the middle of nowhere. 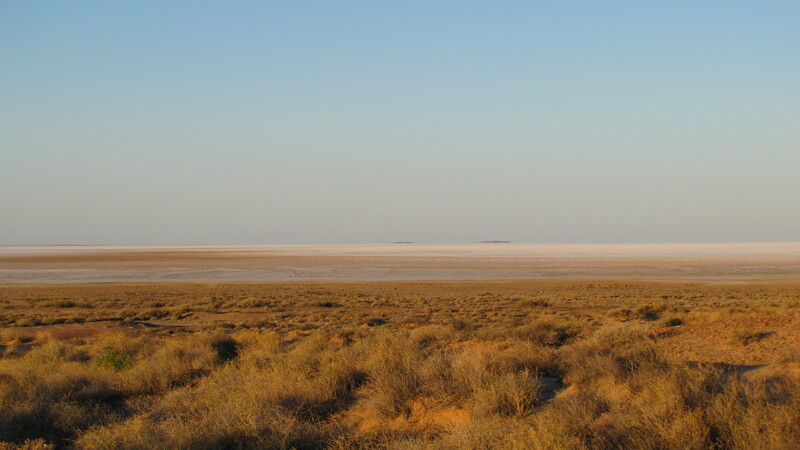 In addition to the diverse infinite landscape, the other amazing thing was that we didn’t see anybody else during our entire journey on the track. 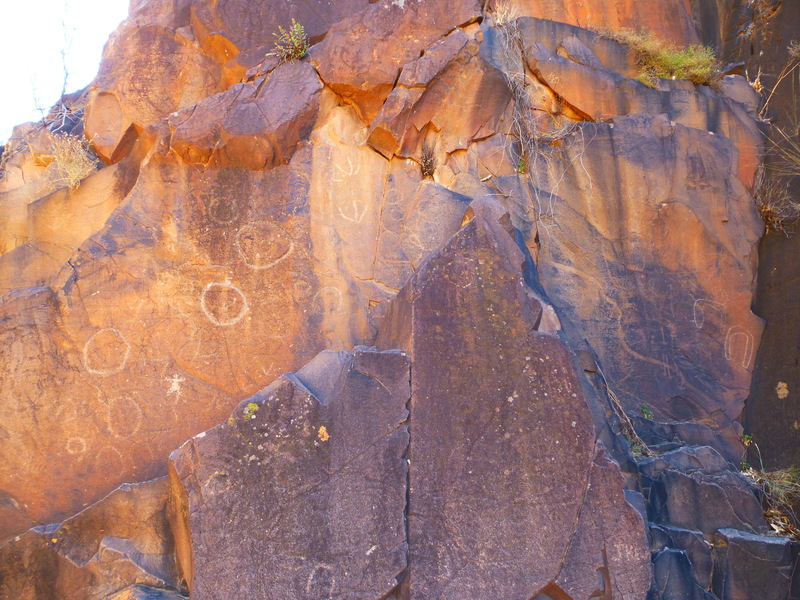 The only civilization oasis were the 2 small town (if we can use the word town: William Creek has a population of 6!) 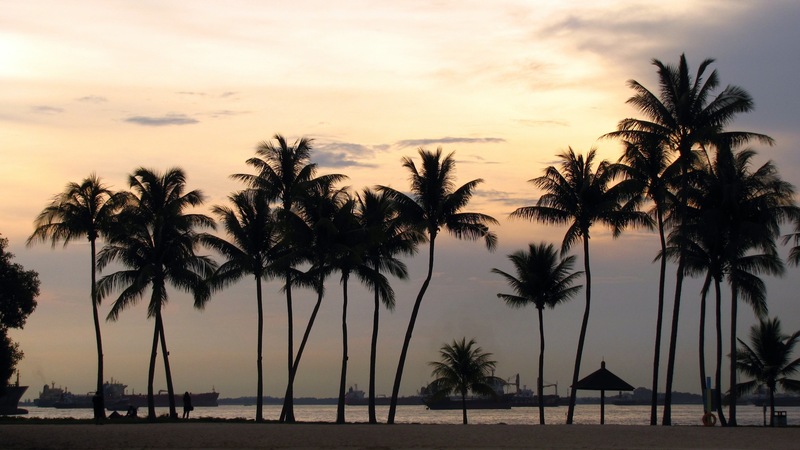 where you can refuel with some very expensive gas. 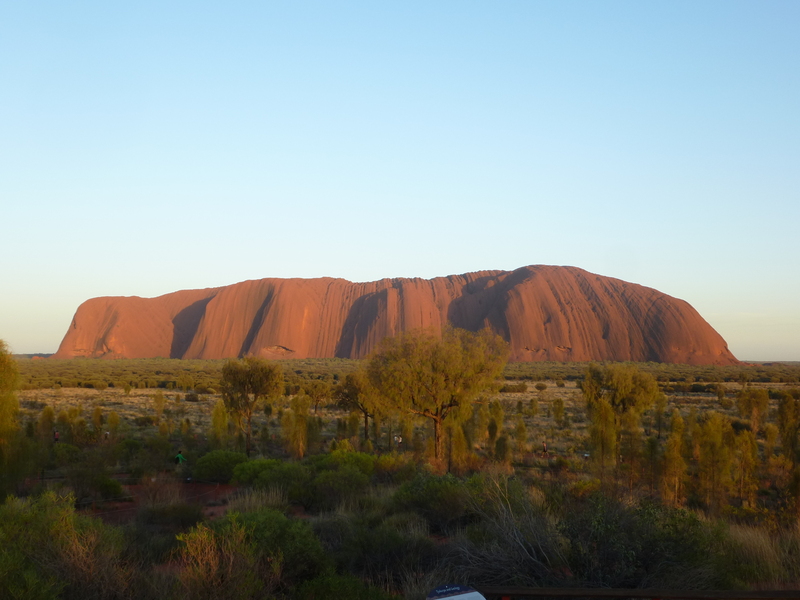 We arrived at Uluru late afternoon after a day of driving and finishing the Oodnadatta track. 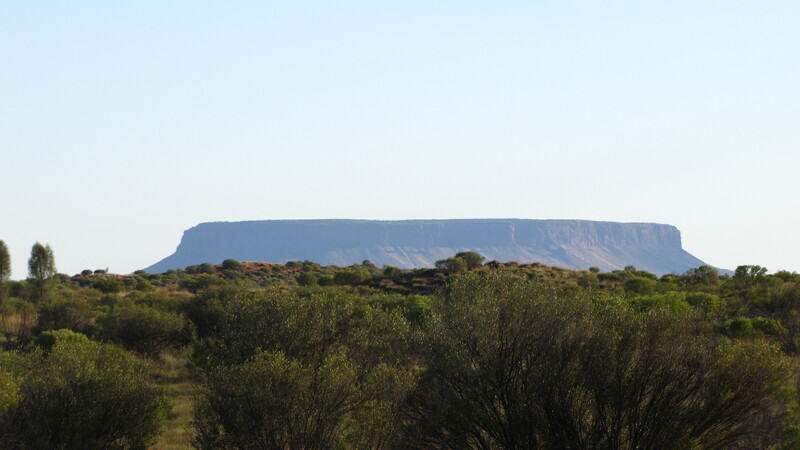 The first sight of imposing monolith in the horizon is just astonishing. 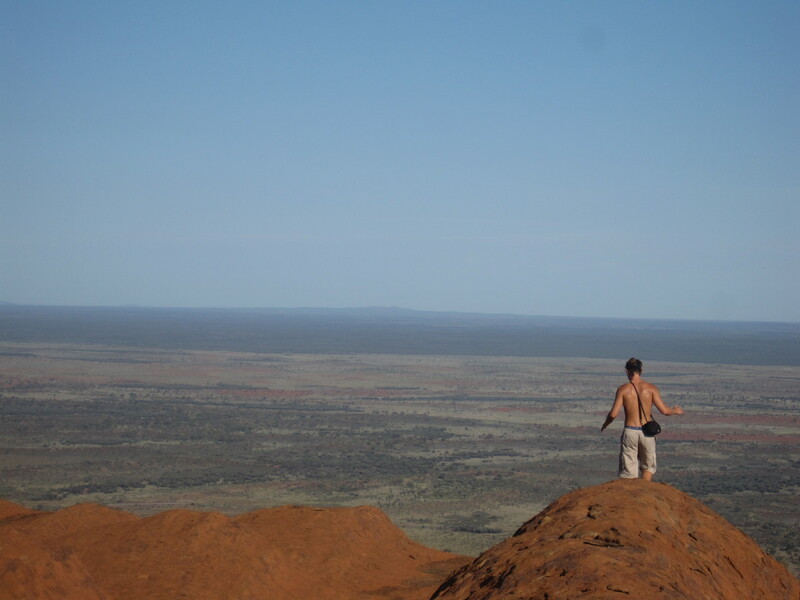 We spend our first day there circumnavigating the Rock, discovering caves and painting as well as their meaning in the Anangu culture. 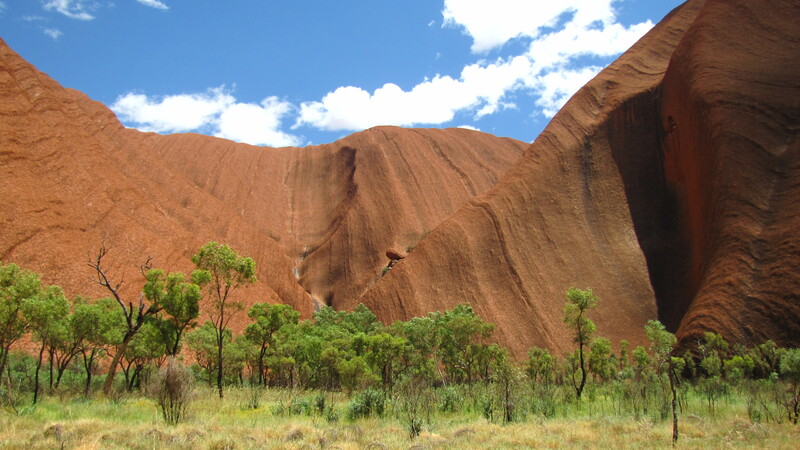 Uluru is truly massive: 3.6km long and 348m high, and it is believed that two-thirds of the rock lies beneath the sand. 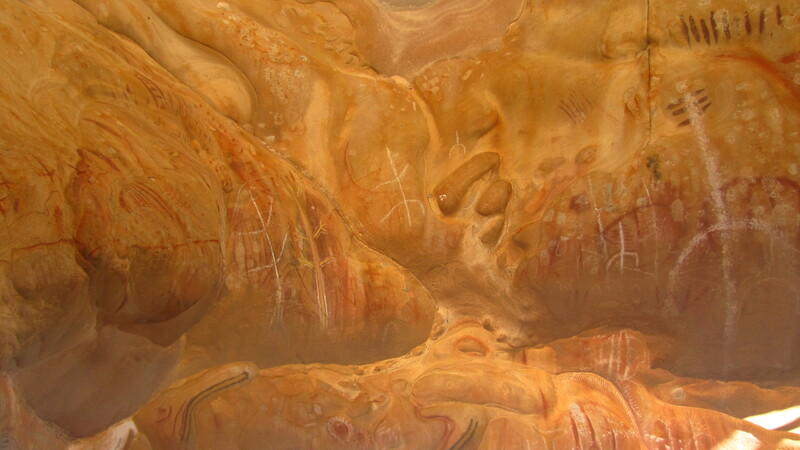 Ayer’s rock is not just impressive by its high, but also by its changing color along the day: ochre-brown in the afternoon, burnished orange and progressively deeper reds as the sun sets. 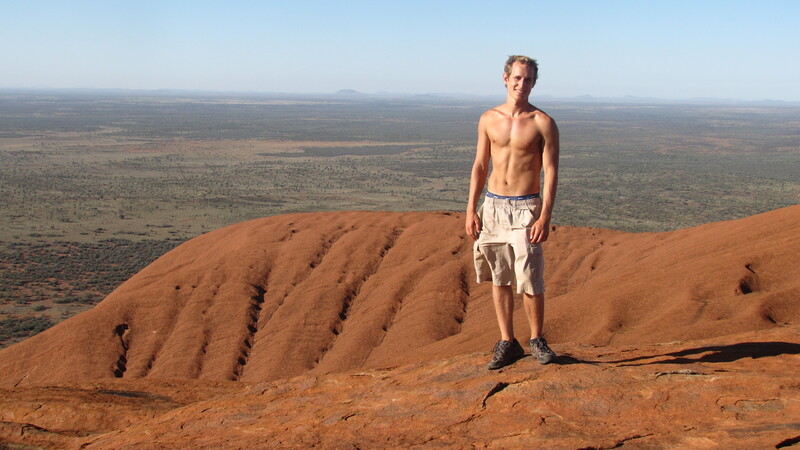 The Rock is not the only thing worth seing in the park. 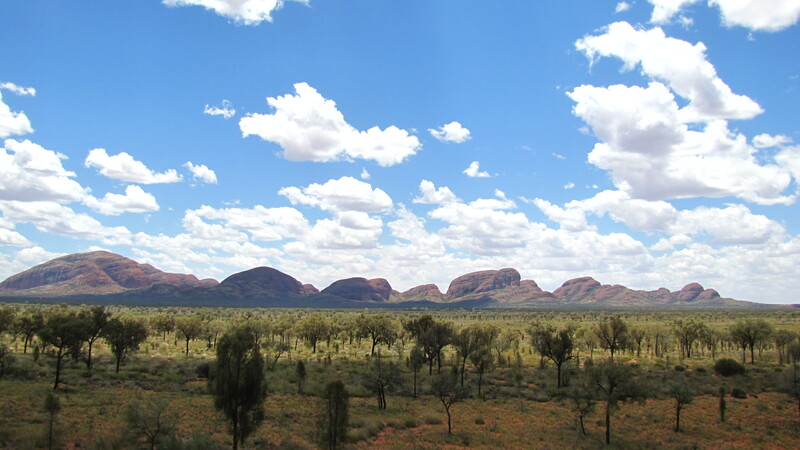 Although most people – including us before- had never heard of it before going there, Kata Tjuta, a group of domed rocks huddled together lies 37km west of Uluru. 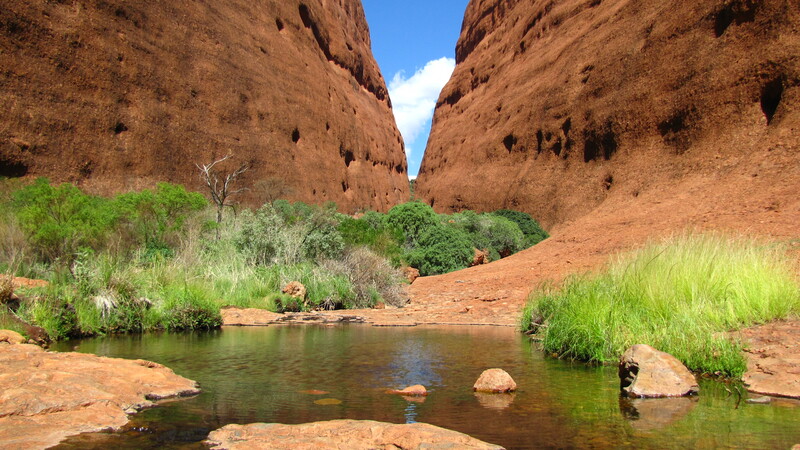 Even if we did not find it as impressive as its neighbor which is just one massive piece of rock, Kata Tjuta are just as captivating and walking in the Walpa Gorge, at the foot of Mt Olga (the tallest rock, 546m versus 348m for Uluru) was a peaceful experience. 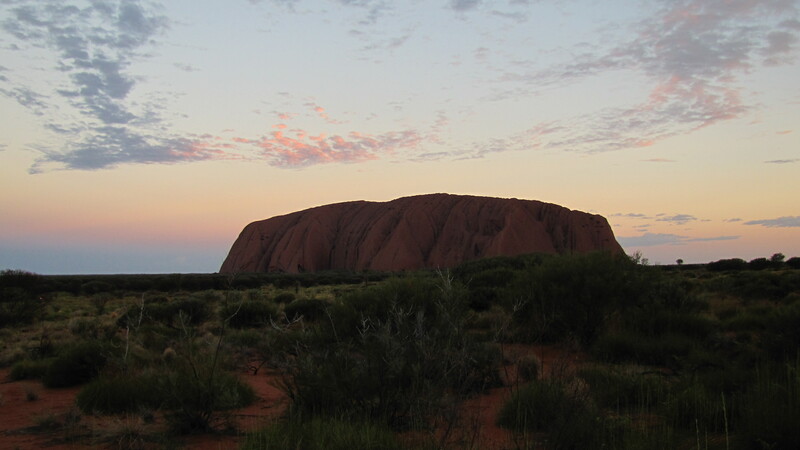 François and I woke up at dawn to go see the sun rising on Uluru before tackling up its steep climb. 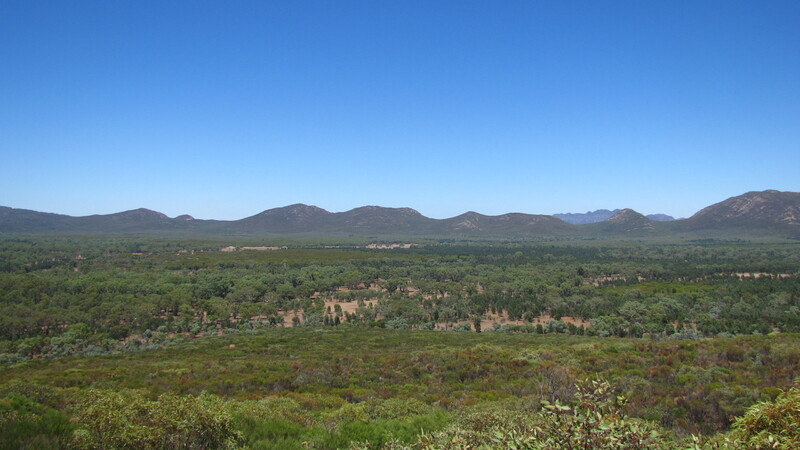 It took us a good hour to reach the deserted summit (867m above sea level) and enjoy the amazing view of the surrounding sandy scrubland. Arriving at the summit. Notable fact, there is 3G up there! 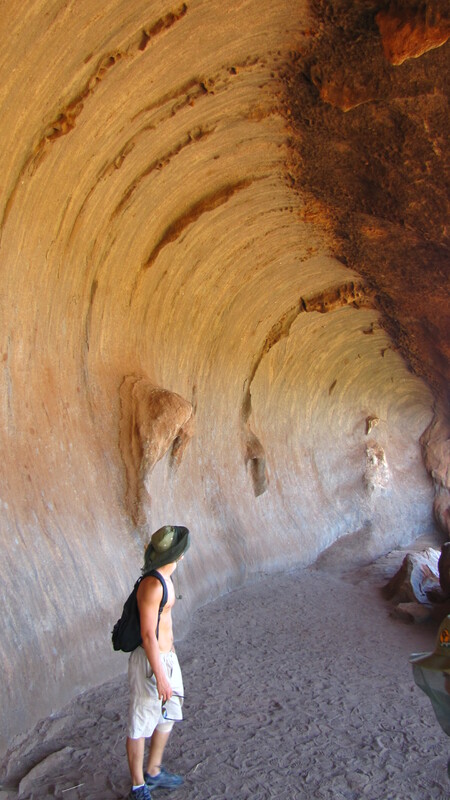 Next stop is Kings Canyon, the other main attraction of the Red Center! 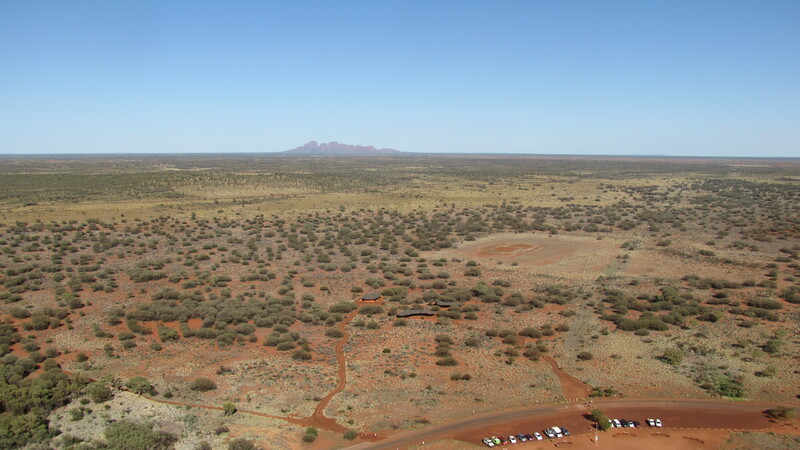 Nous allons aussi randonner à Kata Tjuta. J’ai hâte. J moins 5!!! !